A group of guys banging out guitar tunes since college (University for the Anglophiles among us) decides to head down to London and get serious about making money with music. That statement could apply to thousands since the Beatles, but Will Daunt (vocals and guitar), Iain Lock (bass), Dom Millard (keyboards), Henry Walton (guitar), and Guy Henderson (drums) actually made it. 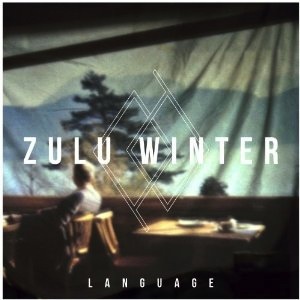 Their band Zulu Winter created a debut album which has a little something for everyone; falsetto vocals, synth pop, dance beats, and of course, banging guitar. “Words I Wield” will immediately bring to mind Coldplay, which may be a great thing or an execrable thing depending on where one’s stance is with regards to Chris Martin’s group. “Never Leave” with its dance beat groove calls to mind Friendly Fires. “Key to My Heart” is lovely and reminiscent of Keane; which is probably why Zulu Winter is currently opening for them. They are definitely on most people’s must watch/listen list so let’s see if the new guys will still be keeping the mood beautiful and us moving to the beat next winter.